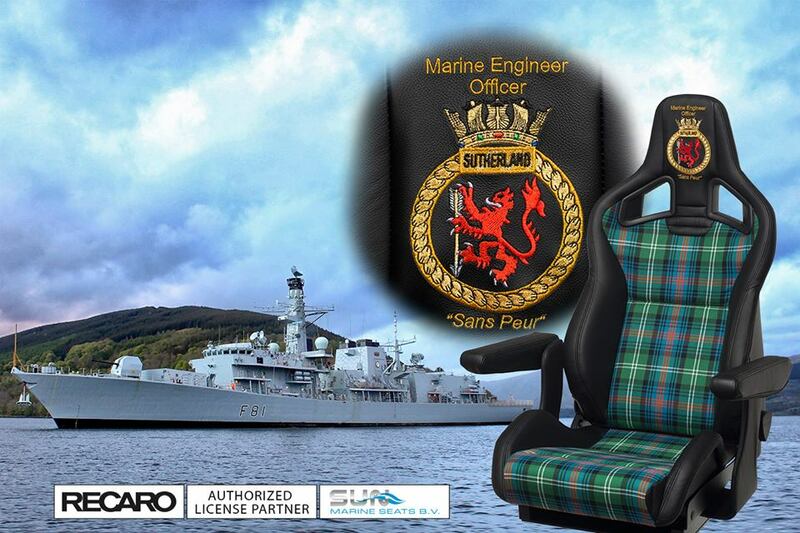 Crown provides support to Naval architects by first offering advice on suitable seat models for a specific project. We provide details of maritime seats that suit the project specification. From there, dimensional data, 2D drawings (PDF) and 3D models are supplied if required. 3D models are commonly supplied as .stp files though other formats are available on request. Clients often have very specific requirements for their ship seat. That can be something as straightforward as personal embroidery or coffee cups built in to the armrests, to an all-inclusive cyber chair with controls built in to the armrests. Where complex operator chair solutions are required, Crown will ask the principle to join them and visit the client to discuss the seat solution directly. A seat connects its Skipper or Captain to the vessel like no other piece of equipment. Owners often select a boat seat from Crown Marine after visiting us at an exhibition or having selected a seat from our web-site. That information is relayed to the builder and Crown can liaise with them from that point on. Seats aren’t just about the style and having an impressive focal point, Crown will recommend a marine seat style and equipment to suit the vessel and its requirements. Crown Marine works with the ship yards when they need to know the dimensions of the marine seat, the footprint for the pedestal or deck rails and other information that allows them to install the seat correctly. We deliver the seat when required and include all the necessary installation manuals. As with naval architects, when yards want to import a 3D model of the seat, we can provide this in the required file format. After several years in service, certain parts may be considered worthy of a maintenance check. This is more likely equipment such as suspension units that have seen service in harsh conditions over a period of time. At Crown Marine we have the facilities to accept equipment and provide a maintenance check at a time to suit the owner and vessel schedule. Following a satisfactory maintenance check, a certificate is issued to say the units inspected remain suitable for use.